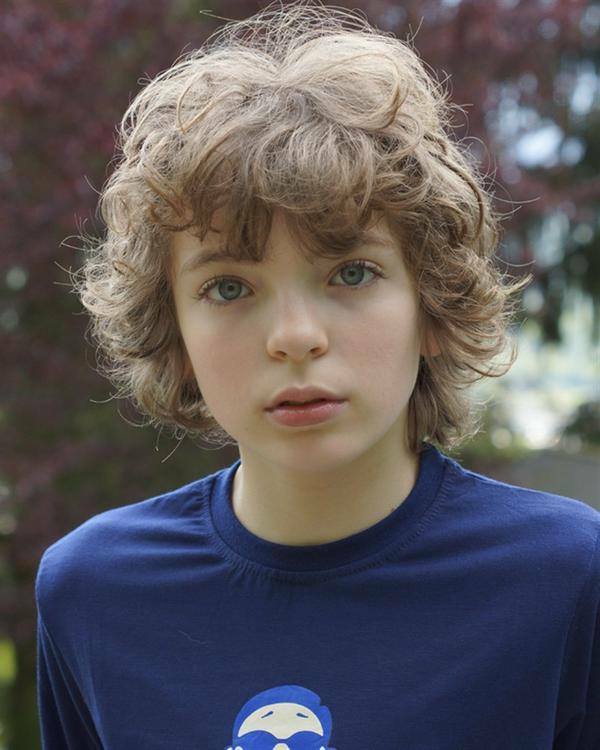 Romann Berrux has been cast in the second season of Outlander! Author Diana Gabaldon revealed Romann Berrux will play wee Fergus, a French child who Jamie Fraser (Sam Heughan) runs into in Paris. Known as Claudel when he’s introduced in “Dragonfly in Amber,” Jamie enlists the young and clever chap’s help on some serious business. fergus is not blond!!!! this is another actor i didn’t want for the role, this being said this little guy is so cute!! I know, I always pictured Fergus with dark features (dark hair, dark skin maybe olive toned, dark eyes) but with that being said, no one thought Sam looked like the Jamie we all knew and loved from the books and look how it all turned out. So I have faith in the casting director and the entire team working on the show. i don’t know, but for me sam look a lot like Jamie, (i mean in my head), i pictured he’d taller maybe and his hair color definitely comes from a bottle, cuz it’s not as red as it should be, other than tha he is the perfect jamie! as for Fergus, i completely agree with you, dark features, hair, eyes, i just hope that the adult version of him would match the one in the book! Jesus H Roosevelt Christ! Take a chill pill! Every reader has a different picture of the characters in their mind. Hair color is (a) not that important and/or (b) it can be changed! conversation doesn’t work this (your) way lady!!!! you don’t need to be rude to make a point!!! We weren’t complaining, we were discussing. And comments like this will not be tolerated on our site. starz.com/originals/outlander is the official website. He is so adorable….. I would want to take him from the Brothel in a heartbeat! So far the casting was pretty spot-on IMO, but in Fergus case I’m not so sure. Almost every child is cute/adorable but he’s just not the type of French child depicted in the book. Perhaps there’s not so much choice among child-actors. At least he’s old enough for the brothel scene not to do so much damage. Hah you’re right. Thanks. I guess I got a little dyslexic there. More important than hair and eye color is the personality of Fergus and he has to be French which this little man is. He has the look of a mischievous but lovable boy and if he is a good actor and plays the role well, I don’t care if he has blue hair. Cait does not have “whiskey eyes” and she is 5’10” not 5’6″ tall as in the book but could you imagine anyone else playing Claire. Sam is blond but has a naturally red beard. I don’t care if the hair color came out of a bottle. How much bigger do people want him? He is 6’3″ and in the book he is 6’4″, are we really going to get hung up on one inch of height. It is Sam’s acting, the fact that he himself has many of the traits of Jamie that make him the perfect Jamie. Lotte Verbeek had red hair and blue eyes and is petite, while Geillis is tall, platinum blond and green-eyed in the book. I though Lotte was marvelous as Geillis. We can’t get hung up on trying to have what we imagine (and each of us has a different vision) translated onto the screen. So far they have done a wonderful job in casting and the acting has been fantastic. I am very excited for Season 2. Great comment! I totally agree with you.